Hi, people ! What are you guys doing on this Sunday? Planning on sleeping all day? But sleeping would be useful only if your bed is comfortable enough! 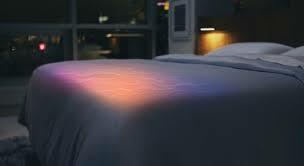 A smart bed would be perfect. Yes, a smart bed! The company Sleep Number brings you the Sleep number 360, the first smart bed ever! 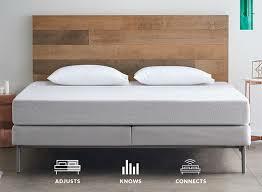 Sore-no-more: This smart bed reads biometric cues to detect if someone's snoring. If they are, the dual sided adjustable bed raises just the snorer's head to reduce the sound of the snoring. 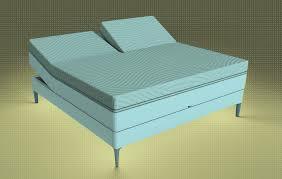 Self-adjusting mattress: Your ideal mattress settings change according to your sleep position. So if you happen to switch from your back to side midsleep, the sleepIQ software should notice and deflate the mattress slightly to optimise your comfort. 10:30 p.m. The sleeper receives a bedtime reminder via the SleepIQ app. 10:45 p.m. Foot-warming feature automatically turns on in the smart adjustable base before the sleeper goes in the bed. 11:00 p.m. The smart adjustable base adjusts to the sleeper's favourite position for reading in bed. 11:00 p.m.-7:30 a.m. ResponsiveAir technology constantly senses movements and adjusts mattress comfort during the night. 1:00 a.m. Partner begins to snore, smart adjustable bed raises their head. 4:30 a.m. If a user gets out of the bed to check on a child or use the bathroom, under-bed lighting will automatically turn-on (lighting the way in the dark); then turn-off when they return to the bed. 7:15 a.m. It knows what time the sleeper will like to wake up, and an alarm will sound when the are in their lightest stage of sleep during their desired wake up time window. Having a smart bed is cool in this generation but it is not exactly a necessity. It has some pretty cool features but there will some drawbacks too so it is worth a try and you will be able to decide once you try it! You can also catch some visuals below ↓↓ BEWARE: more tech ahead !! !